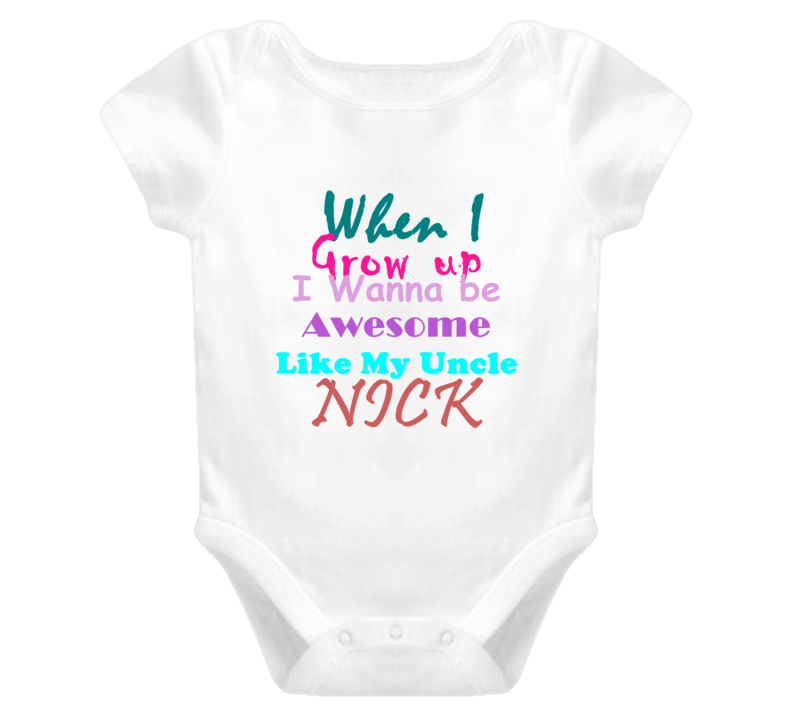 Order your very own Nick Awesome Uncle Newborn Bodysuit Funny Baby One Piece. It won’t be around forever so buy yours here today! Shop our huge selection of high quality, occupation graphic apparel. Each design is offered on a variety of sizes and styles including; t shirts, hoodies, aprons and even baby one-pieces! This product is pre-treated to ensure quality and longevity of the graphic. Let your little one out in style with this adorable one-piece!